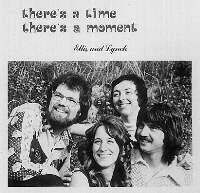 The very first recording by "Ellis and Lynch" which features many of their original favorites. This collection is arranged for guitar/vocal/and selected flute parts. Selected titles available in piano/guitar/vocal arrangements. Music for Christmas/Lent/Easter, Reconciliation and Eucharist. Contents: Look At My Gifts; *Jesus Heal Us; There's a Time, There's a Moment; Song Of Ruth; *Teach Me Your Ways (Ps 25); Whom Shall I Fear; Taste And See (Ps 34); *We Stand In Need; Hymn to Mary; Our Father; *Simple Christmas Song; and *Sweet Sweet Sound. This collection features some of the early responsorial psalm settings by Ron Ellis and Mike Lynch. Includes the Easter Proclamation (Exultet) and 15 other selections for Advent, Lent, Easter, and Pentecost. Contents: *You Knew Me Before I Was Born (Ps 139); Song Of Watchfulness; *With All My Heart; According to Matthew; Psalm 51; Living Water; Acclamations/Holy, My Soul Is Thirsting (Ps 63); Jesus Remember Me; Exultet (Easter Proclamation); Come All You People; The Lord Has Done Great Things (Ps 126); Lord Send Out Your Spirit (Ps 104); Cry Out To God With Joy (Ps 66); and Praise God. Originally released with Gentle Rains as a collection of psalms, hymns, and songs for liturgical use, inspirational listening and youth retreats. Contains the well known hymn "Father Of Peace" (Lynch) and includes 11 selections for Advent/Christmas, Lent/Easter and Youth Retreats (Life Is You, Choices, Listen To The Word). 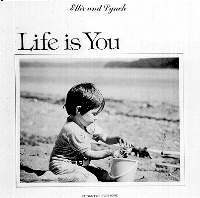 Contents: Life Is You; Blessings On The King; Hymn To The Father; Praise Song; Come Lord Jesus; A Song For Mary (instrumental w/flute); *Father Of Peace; The Light Has Come; and May The Roads Rise Up (Irish Blessing). Includes 11 selections for Lent/Easter and the liturgical year. 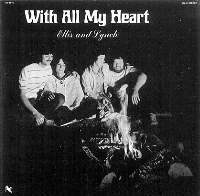 Originally recorded and released with Life Is You and contains the well known hymn "Jesus Is Our Prayer" used in Glory And Praise 2. 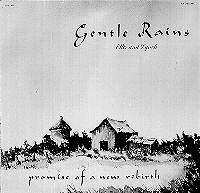 Contents: Gentle Rains; If I Had Known; The Sun Is All Around; As We Pray; Harden Not Your Hearts (Ps 95); Easter Song; Jesus Is Our Prayer; With God On Our Side; Psalm 103; Covenant Prayer (instrumental w/flute); and Song Of Blessing (Ps 65). 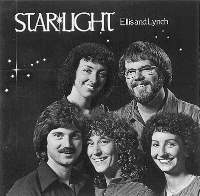 Star-Light contains some of the finest compositions by "Ellis and Lynch". 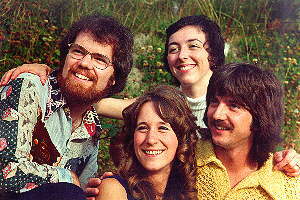 Their final recording contains some of their best work. Selections are useful for Advent/Christmas including the popular title cut, "Star-Light" (Ellis), Lent/Easter, the ever popular liturgical hymn "Bread Blessed and Broken" (Lynch), along with many more favorites. Contents: You Can Fly (Ps 103); Love Is Kind (1 John 4); I'm In Your Life; Sharing The Light (Compartiendo la Luz); Bread Blessed and Broken; His People Sing; Winter; Star-Light; I Like Kids; Miracle Of Life; and Song Of Trust (Ps 31).